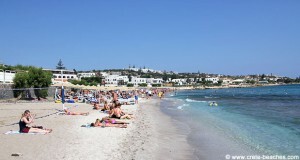 Karteros beach is located 7 km east of Heraklion, the capital of Crete. Heraklion Airport is located less than one kilometre away. Karteros is a 1 km long beach, which is named after the Byzantine general Krateros, who landed his ships here in 824 to free Crete from the Saracens. In several places, the bright sand is mixed with rocks of various sizes, particularly along the waterline, and the first couple of metres into the very clear water. 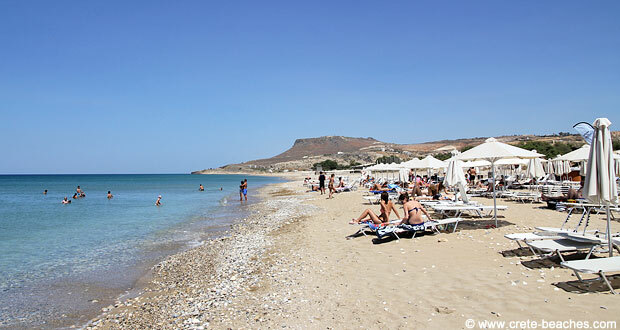 Karteros is one of the favourite beaches of the people in Heraklion, especially the young people. 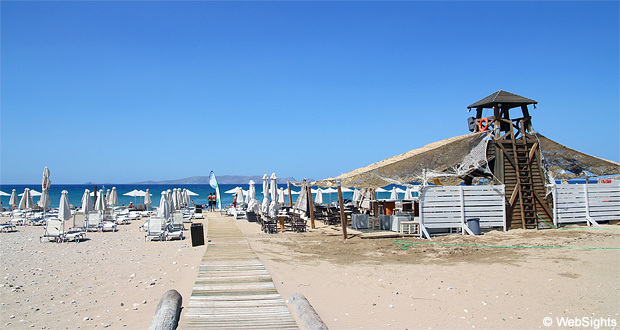 They meet here to bask in the sun and the water and listen to the music coming from one of the beach cafés. In addition to sun lounges and sunshades, facilities also include showers and toilets. There are parking spaces right next to the beach. The sand is good to play in, but the rocks along the waterline and the first few metres into the water makes the beach less suitable for children. 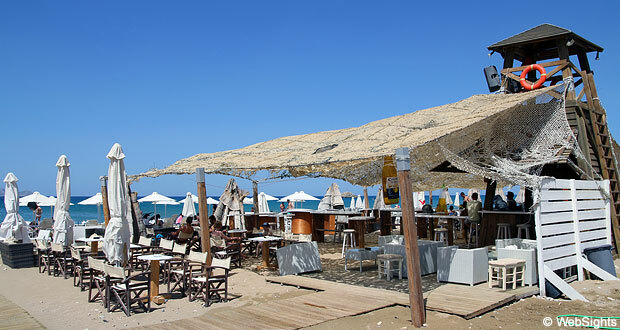 At the main beach, there are 2-3 large beach cafés serving food and refreshments. One of them plays rather loud music, and the young people get together here. Karteros is a very small town, located a bit away from the beach. 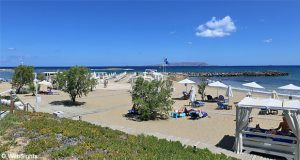 There are no hotels by the beach, but there are a few in the hinterland, such as Hotel Karteros. There are buses between Heraklion and Karteros several times a day.